Abraham Myth: A Response to Peter Enns | Theopolis Institute | Bible. Liturgy. Culture. I devoted a section of a chapter in Deep Exegesis to Peter Enns’s work, I’ve critiqued him on my blog here and here and here, as well as the similar work of John Walton, here and here. To my knowledge, neither Enns nor Walton took note. Enns did, however, answer my parody article, “The Abraham Myth” on his own blog at Patheos. It’s good to be noticed. If I want to interact with Enns again, I’ll remember: Parody opens a direct line of communication. A number of Enns’s responses miss my concerns. Not that I blame him. It’s hard to write a critical response to a parody. To clarify at the outset: I agree with Enns that historical criticism comes in all sorts and conditions, and I also agree that explorations of the historical context of the Bible have illuminated Scripture in many ways. We know vastly more of the ANE than did the church fathers, medieval exegetes, or Reformers, and that is a momentous advance for biblical studies. I am concerned about chronological snobbery, but not because I’m worried about engaging with new-found texts, new archaeological discoveries, new scientific data, new theories. I expect more discoveries in the future – which is a major reason I’m skeptical about Enns’s work (see below). To Enns, my slippery slope argument is “unbecoming.” I’m not sure why. A slippery slope argument assumes that a scholar has the rational integrity and consistency to follow his arguments through to the end. And it’s simply a fact that some slopes are slippery. As Richard Neuhaus put it, I believe in slippery slopes the way I believe in the Hudson River. (Take a moment to remember SCOTUS decisions of recent days.) I imagine some Neanderthal fundamentalist like myself sounded the alarm about the historicity of Adam back in the halcyon days when evangelicals were debating six-day creation, and I imagine someone dismissed said Neanderthal as a scare-monger putting out unbecoming slippery-slope arguments. Yet here we are, at the bottom (in the middle?) of the slope. Enns must know that his students will mimic his progressive pose. Having already given up Adam, how are they going to sharpen the edginess? Finally, it’s been a long time since I’ve been accused of being a hidebound Westminster Presbyterian. It’s a refreshing change of pace. Enough of that. Enns’s response gives me the opportunity to summarize my objections to his project and others like it. They are three: methodological, hermeneutical, and theological. Method first: I do not, as Enns claims, want to keep data at arm’s length. Bring it on, bring it all on. All facts are God’s facts, and all the facts about the world of the Bible are worth studying, grappling with, and reflecting on. But: Let’s not confuse facts or data with extrapolations from data or theorizing from facts. Most especially, let’s not confuse facts with the latest scholarly fashions. A fad is not a fact; a trend is not a settled truth. I find modern archaeology enthralling, a breathtaking story of heroic discovery. Archaeologists have piled up Everests of facts that scholars must clamber about and explore. Yet that data doesn’t assemble itself into meaningful patterns. Historical reconstructions based on archaeological findings depend on assembly of very partial data, conjecture, and imaginative gap-filling. That’s not a criticism; it’s the nature of historical investigation, especially in a world as alien as the ANE. It is a reason to be modest about the reliability of our reconstructions. 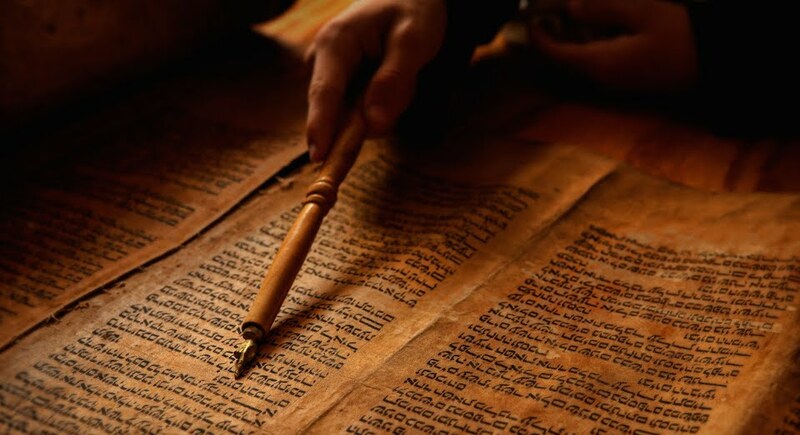 Leaving aside claims about the divine origin of Scripture, it’s rather brash to hold up our jerrybuilt accounts of what happened as standards against which to measure the claims of ancient texts. Enns shows much more confidence in the latest findings and theorizings that he has warrant to do. Besides all that, the imaginative enterprise of historical reconstruction always takes place within a framework. And it is worth asking, Where is that framework coming from? On what set of facts or assumptions is it based? Do I know how every piece of archaeological or textual evidence fits a literal reading of Genesis? Nope. Can I explain exhaustively how to harmonize every claim of Genesis with every bit of scientific evidence? I cannot. Can I smooth out all the apparently historical anomalies within the Bible itself? No; and some of the attempted harmonizations strike me as forced. What to do? Wait; pray; trust that our God has given us a trustworthy Word, even if we can’t make sense of every bit of it. I agree with John Frame that extra-biblical information should challenge our understanding of Scripture, forcing us to question whether we got the text right. Sometimes, we’ll conclude we had it wrong and we’ll have to change our minds. Sometimes we’ll conclude that the text says what we thought it said, even if that puts us quite at odds with received wisdom, even at the cost of being the cause of exasperation from experts. What we do not do is adjust or nullify things that virtually everyone in the church’s history has believed on the basis of a necessarily fragile theory, even if, for the moment and given the current state of evidence, the theory has found wide acceptance among those inside the biblical guild. The fundamental point of my parody was hermeneutical. I posed a simple-minded, Neanderthal fundamentalist question: Did Abraham exist? If he did, did God actually make a covenant with him? If He didn’t, does it matter? Can we still speak of an Abrahamic covenant even if there was no Abraham with whom God made a covenant? My implied argument was that the same sorts of arguments that Enns and others use to dismiss the historicity of Adam can be applied equally to the Abrahamic narrative. In his response, Enns says that the “content” of the two portions of Genesis is “quite different” and this justifies the conclusion that the Abrahamic narrative is not myth but “legend or political propaganda.” The terminology matters less than Enns’s conclusion that “what holds for the Adam story may or may not hold for the Abraham story.” May not; but then again may. In other words, he’s left open (it seems) the very possibility that my parody raised, that it may be responsible to apply the same methods to Abraham as Enns does to Adam. If Enns himself leaves open this possibility, why is it “unbecoming” of me to point out that this is where his arguments might lead? And this leads to the fundamental theological issue. Enns has written elsewhere that we can give up Paul’s belief in a historical Adam while retaining Paul’s doctrine of Adam. That exhibits a misunderstanding of what Scripture is (to Christians), even a basic misunderstanding of the sort of religion Christianity is. In Christian interpretation, the Bible isn’t a collection of stories illustrative of doctrine and morals. It’s a record of God’s actions in history for the redemption of the world. As I argued in Deep Exegesis, it’s a fundamental theological, philosophical, and hermeneutical error to believe we can peel off the historical husk of the Bible and retain its nourishing didactic kernel. Maybe what Christians have taken as history isn’t history; maybe we will never know what happened; maybe none of it did. We should be aware that if we’re uncertain about whether or not those redemptive acts happened, or if we are agnostic about whether Scripture records events that happened, we have shifted ground radically. It’s disingenuous for scholars like Enns to push the boundaries and then express dismay over what the fuss is all about. As J. Gresham Machen recognized, if we’re not talking about history, we’re no longer talking about Christian faith as it’s been understood for the past 2000 years. To paraphrase Flannery O’Connor, If it’s not history, to hell with it.